Chinese smartphone manufacturer OnePlus is set to reveal its latest flagship smartphone in June, according to reports. With its upcoming launch having been confirmed by the company and test results being leaked, the OnePlus 5 will likely offer high-end features and performance at a mid-level price, following in the footsteps of previous releases. The device is expected to rival Samsung’s latest and fastest device, the Galaxy S8, with a set of specs being published on GeekBuying.com. 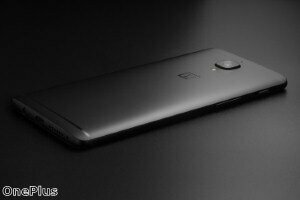 According to the retailer, the Android-operating OnePlus 5 will be powered by a Qualcomm Snapdragon 835 processor and feature 64GB of storage as well as 8GB of RAM. It will also offer users a 4,000mAh battery and a 5.5-inch screen with a 2,560 x 1,440 pixel resolution. This will all go towards providing a truly powerful smartphone – one that has actually performed better than the Galaxy S8 did in testing. According to benchmarking tests, the OnePlus 5 recorded a single-core score of 1963 and a multi-core result of 6687. The Galaxy S8, meanwhile, scored 1929 in single-core testing and 6084 in multi-core testing. Despite the phone’s performance, it is expected to remain at a low price. GeekBuying.com is offering it for pre-order at $449 and £359. With these sorts of results and price, it will likely be tough competition for Samsung’s much more expensive Galaxy S8, especially at a time when the company is still recovering from the recent exploding battery problem with the Note 7. 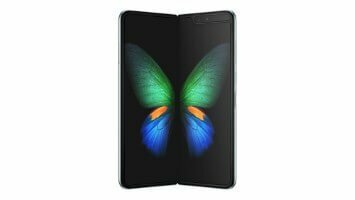 In fact, according to BGR.com, the only reason to buy the Galaxy S8 instead of the OnePlus 5 is the former’s screen. The OnePlus 5 will have larger bezels, so people wanting a bigger screen will likely prefer the Galaxy S8. OnePlus’ previous offering, the 3T, was roundly praised by industry experts, receiving plaudits for its performance and price. However, one issue that most were critical about was the camera, which wasn’t quite a match for other devices, particularly the Google Pixel and Samsung Galaxy S7 Edge. It seems that the company has taken this into consideration when manufacturing its upcoming phone. The rear camera is expected to be a dual-lens 23 megapixel offering, which is a seven megapixel boost from the previous device. Meanwhile, the front-facing camera has been increased to 16 megapixels from the eight offered by the 3T. How successful the OnePlus 5 will be remains to be seen, but it is expected to put up a good fight and really push the Galaxy S8, the year’s current big release.